Several years back, a few of my friends from Kentucky came down to visit. With them, they brought — among other things — some beer, an Atari Jaguar, and a giant plush crab. It was a weird weekend. At one point we ended up playing SoulCalibur with Dreamcast fishing controllers. Another highlight to that weekend was what you see above. 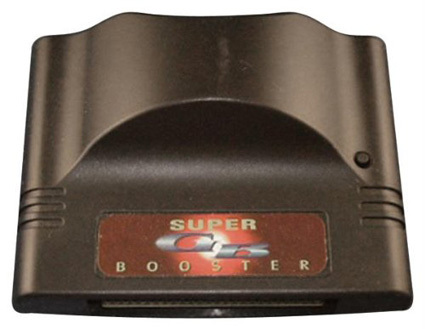 The Super GB Booster was an unlicensed pass-through cartridge that allowed you to play Game Boy carts on the Nintendo 64. 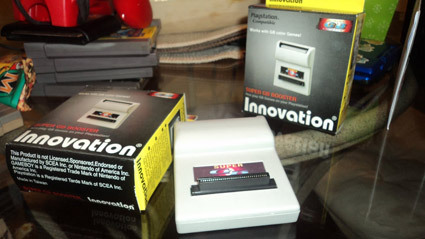 A similar device was also released for the original PlayStation. Despite being an aggressively unofficial piece of hardware, it worked pretty well. Games ran full-screen with minimal hiccups. If but for one small problem, it would otherwise be an acceptable alternative to the Super Game Boy and the GameCube’s Game Boy Player. The problem? The Super GB Booster did not output audio. To clarify, it didn’t output Game Boy sound effects and music. It did play an endless loop of something else, in an attempt to hide the lack of actual sound emulation. The result has an interesting effect on any game you plug in to it. Below is a simulation of the Super GB Booster experience.